In case you missed it, there is a new automated ingest provider for UBC Library’s DSpace software platform used by cIRcle, UBC’s Digital Repository. 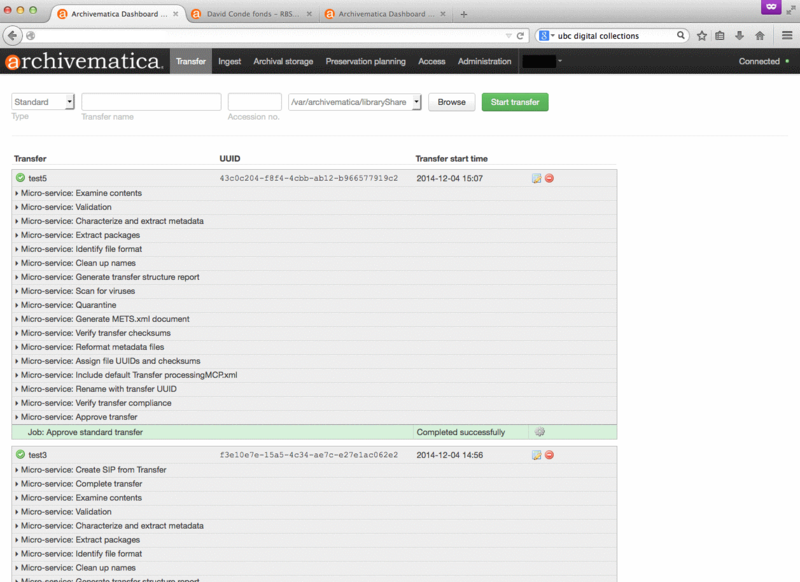 Say hello to Archivematica! Locally based and created on Canada’s West Coast in New Westminster, British Columbia by Artefactual Systems Inc., Archivematica is “an open-source digital preservation system designed for standards-based, long-term access to digital material”. With a little more than a week or so into this new and exciting service, Archivematica has successfully been “running automatically with no user input and no impact on access to the content in cIRcle”. In fact, over 2,000 of the 40,000+ cIRcle items earmarked so far have been receiving what sounds like spa-inspired treatments by getting what is termed as “digital preservation micro-services”. Read the full news release to learn how Archivematica is helping UBC Library further its goal to be a leader in the field of digital preservation for its scholars and beyond. 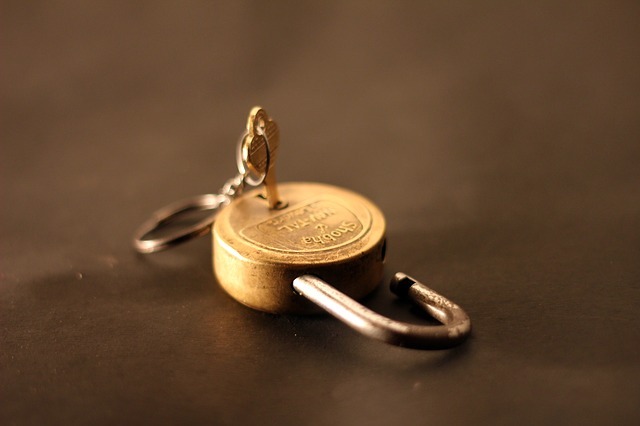 In the last post we looked at Why a digital preservation strategy is necessary. This post outlines a few of the steps we are taking here at the Digitization Centre to enact our preservation goals. Planning for preservation starts at the creation of our digital objects. We need to choose digital formats that are suitable for the long-term and follow best-practices for their creation. There are many factors that go into the choice of formats, for example check out the detailed information from the Library of Congress. In general, it is necessary to avoid proprietary formats and compression, and look for open formats with wide adoption. These factors contribute to the sustainability of the file into the future, ensuring that the bits will not be corrupted, the data will be readable, and the image can be properly rendered. To meet these goals, our master images are stored in uncompressed TIFF, which has been the standard for many years. Some of our capture devices, such as the ATIZ or TTI, create proprietary RAW format images that need to be converted. The next step is managing the long-term storage of our files. As described in the last post, this is a difficult problem. Here at the Digitization Centre, a big part of the solution is our developing use of Archivematica. We have been working with UBC IT and the developer Artefactual to integrate digital preservation into our digitization workflow. Archivematica is an open-source digital preservation platform that conforms to the relevant standards and best-practices. It is a pragmatic tool for implementing a digital preservation strategy defined by an organization’s policy. UBC has a contract with the lead developer Artefactual to support and customize our system. This means we help shape the future of Archivematica. Since it is open-source, our investments will not only benefit UBC internally, but contribute to the preservation community at large. This is a great way to pool resources, as many organizations collaborate, partner, and contribute to the project. Archivematica users/partners include repositories around the world, such as the City of Vancouver Archives, Harvard Business School Baker Library, the Museum of Modern Art (MoMA), the University of Alberta Libraries, the Rockefeller Archive Center, Simon Fraser University Archives, Yale University Library, Zuse-Institute Berlin, Council of Prairie and Pacific University Libraries (COPPUL), Bentley Historical Library, and University of Michigan. It is important to note that Archivematica is not a single piece of software, but a system that links a series of open source tools called Microservices. Each microservice carries out a small task and provides output for the next step in the chain. The advantage of this system is that each microservice can be swapped out without needing to rebuild the entire platform. The full chain of processes and the various servers that the digital files move in is called a Pipeline. UBC has several pipelines, each geared towards different types of material. For example, the Wolf pipeline is highly automated to handle the Banff International Research Station lecture series videos being sent to cIRcle. Our pipelines integrate directly with our public websites (Digital Collections, RBSC Archives, and cIRcle) to ensure that preservation will be part of the standard workflow of providing access to our resources. Users configure, monitor, and control each Archivematica pipeline via a web-based graphical user interface called the Dashboard. It is divided into “tabs” allowing the user to manage the complete preservation process. Archivematica puts all the information we know about an object, including both descriptive and technical metadata, together in a single package and places it in our archival storage service. This ensures we can find the information we need to make preservation management decisions going forward. As our system ramps up, all digital objects produced at the Digitization Centre will be processed through the system to enable digital preservation. These efforts will allow us to be good stewards of our digital assets and ensure they will be useable for generations to come! Diagram of Archivematica pipeline, evanwill 2015.